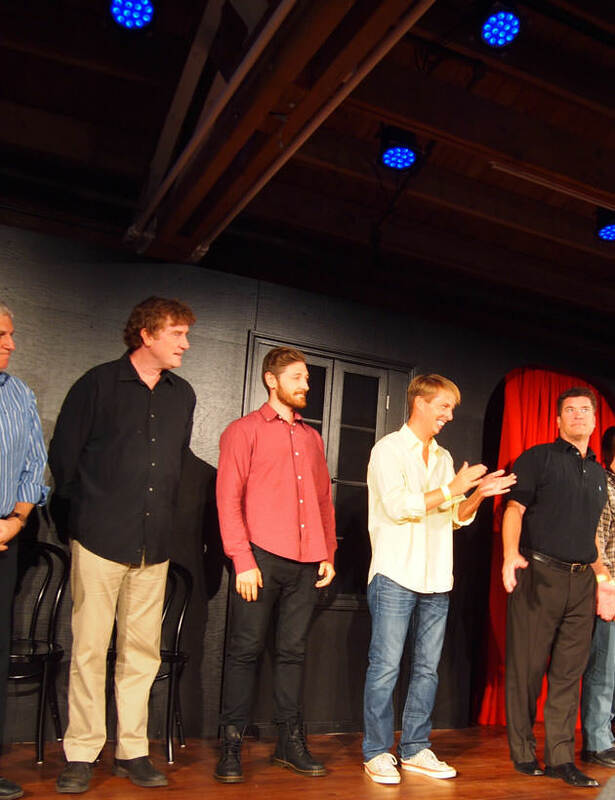 iO Theater celebrated the grand opening of its new 40,000 SF headquarters with star-studded performances by well-known alumni from its world-famous improv training center. HPA transformed a former industrial building at 1501 N. Kingsbury into a theater complex with four theaters, classrooms, offices, event space and a outdoor beer garden for the former ImprovOlympic, which is nationally known for long-form improvisational theater. The architectural design integrated original details — exposed brick, timber posts, and concrete floors – into urban performance spaces. The largest theater, with seating of up to 225, features a thrust stage and a double-height space. The Del Close Theater, with a capacity of nearly 200, is highlighted by vaulted skylights and timber bowstring trusses. The main level lounge, with an expansive oval bar as its centerpiece, provides a communal gathering space for performers, patrons and students alike.